Our mission statement is to provide our clients with independent and unbiased expert advice in effective Loss Prevention, Loss Control and Risk Management. Since its inception, Trans-Port Marine Surveyors, Inc. has earned the respect of the transportation and insurance industry for the comprehensive and factual reporting, its reliability and integrity. Trans-Port Marine Surveyors, Inc. constantly stays abreast of the rapidly changing technologies in the transportation industry and the governing rules. 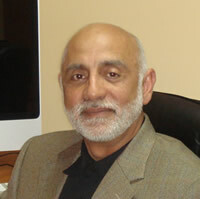 Saeed began his marine career in 1974 as an ensign in the navy and progressed to first lieutenant. In 1979, graduated from Maritime College, Bronx, New York and obtained a BS degree in Computer Science / Mathematics and a Third Mate license on ocean going vessel from the USCG. He obtained several certificates, i.e., Marine Cargo Claims, Handling of Hazardous Material and Chartering & Ship brokerage. Between 1979 and 1981, he served as a deck officer on logistic naval vessels. From 1981 to the present, he has been a Marine & Cargo Surveyor / Consultant. In that capacity, he has been extensively involved in the post-harvest handling of fresh fruit worldwide, especially from South & Central America. Saeed performed numerous surveys and investigation on a wide spectrum of marine and inland freight losses and is involved in project cargo movements and logistics. 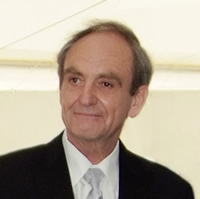 He is the principal of Trans-Port Marine Surveyors, Inc.
Reinhard sailed on reefer vessels from 1964 – 1970 and gained thorough knowledge in the handling and carriage of a wide variety of cooled and refrigerated cargoes. In the 70’s further education expanded his expertise into planning, execution and construction of capital investment projects worldwide. From 1978 he specialized in consultancy, inspection and loss prevention services for project cargoes and steel products. He provided consultant services for many of the larger international trading companies by attending and supervising the production at foreign steel mills in South America, Europe and Africa. He also provided inspection and consultant services for major U.S. steel trading companies, manufacturers and steel service centers. His services ranged from quality analysis to efficiency studies, production assistance and technical analysis. Additionally, he developed, designed, and built steel processing machinery for U.S. and foreign companies.